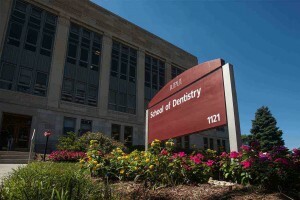 The Indiana University School of Dentistry is the only dental school in Indiana. It is located on the Indiana University-Purdue University Indianapolis campus in downtown Indianapolis. As the electrical contractor for the IU School of Dentistry Project, Industrial Electric was responsible for the renovation of the lower level of the School of Dentistry building. 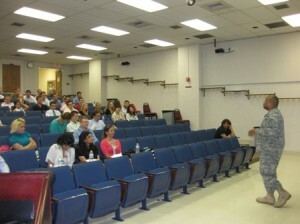 The 17,000 square foot classroom lab was divided into two separate teaching labs providing the opportunity for a remodel of the clinical simulation laboratory. Construction consisted of new electrical distribution equipment, new light fixtures, and PA system speakers. An elaborate trench duct system was installed into the existing concrete flooring to accommodate general power and low voltage systems for the installation of patient stations used in the instruction and training of students in the many positions of the dental field. Industrial Electric completed this 15 month project on time and within budget. The university contracted our company to install emergency power to the lab area and perform several other changes and upgrades while we were onsite. 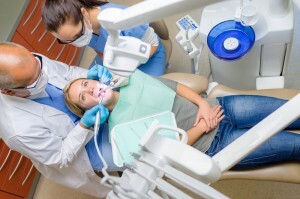 This renovation allows for an improved learning environment for preparing tomorrow’s dental professionals.